In the town of Coronach, Saskatchewan is a bright red grain elevator used for storage and shipment of grain. The bright red building is a grain elevator located in Coronach. "Pioneer" is written in large white letters on the side of the grain elevator. The grain elevator is used for storing and shipment of grain. 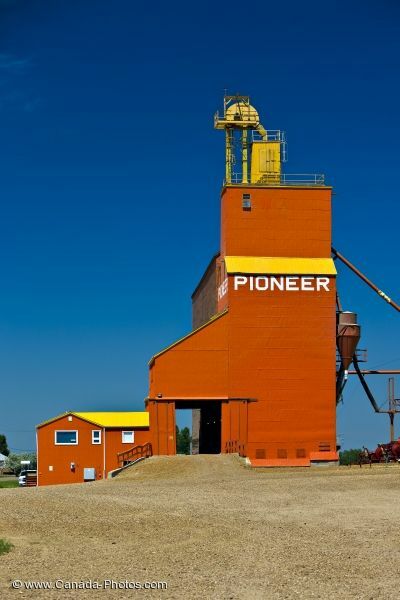 In small Canadian communities, grain elevators often had the name of the community painted in large block letters on two sides of the elevator.